Click to tell us about your requirement. Simplifying service for advanced technology. 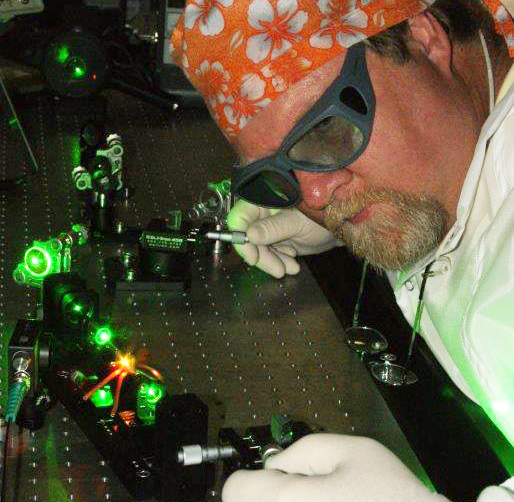 For 25 years KMLabs has been the technical leader in ultrafast laser technology and brings this experience to bear on all of our product development and service. Our newest, commercially-engineered RAEA, XUUS, Stryde, and Y-Fi systems are designed to maximize your experimental up-time. Remote diagnostic and optimization capabilities mean that system tune-ups can be done without the need for a full service visit and, with drop-in modules, many parts of the system that need to be serviced by hand can be sent directly back to the factory for repair. For complex issues, our talented engineering team is still available for site visits. Cutting-edge ultrafast laser systems from 15, 10, or even 5 years ago can require more attention to maintain their performance. Maintenance plans are available and recommended for these systems. We are also committed to empowering our customers to make adjustments themselves whenever possible, saving the cost and delay of an onsite service visit. If you have one of our older systems, contact us for a free consultation and remote support. Additionally, if you have new group members in your lab trying to familiarize themselves with the system, our experts can provide a training and system tune-up via video conference. The best level of support for your needs. All KMLabs products come with a one-year warranty for parts and labor. Options beyond the one-year warranty are based on the plan that best suits your requirement levels. As a company known for its innovative development, we've made a practice of hiring the best and brightest laser scientists to develop our cutting edge instrumentation. Our Service organization has direct access to these resources, enabling fast and efficient solutions to the most challenging problems.